Expedia has some great Ellerker packages ready for you. Bundling your accommodations and flights is one of the most straightforward ways to save money on your upcoming vacation. Savings of as much as 42%* are available to smart vacationers who secure a package deal on Expedia. With more than 400 partner airlines and 321,000 worldwide properties available on our comprehensive database, you'll be setting off on your next vacation in no time! You may cancel or change almost any hotel reservation and you won't have to pay a cancellation fee to us. There's no end to the number of awesome things you can do when you visit a new place. So why not get your trip to Ellerker off to a flying start by taking a look at some of our top tips? After all – out there starts here! The preservation and protection of valuable areas and species is increasingly important. Lose yourself in the peacefulness of nature at North Cave Wetlands Nature Reserve and see how many animals have made it their home. Still have time on your hands? If you've got cash to splash, Drewton's Farm Shop is worth investigating. Peruse the sales racks and see if you can find something that appeals to you. Seeking luxury getaways or cheap vacations in Ellerker? Expedia lists only 3 properties, so right now's the time to book your accommodations. At the Cave Castle & Country Club (Church Hill) and the Rudstone Walk (South Cave) you'll find warm beds, terrific amenities and awesome reviews! If you're arriving by plane, you'll probably be starting your adventure at Robin Hood Airport (DSA). After you've gotten your suitcases from baggage claim and exited the terminal, the heart of Ellerker will be waiting 25 miles (40 km) away. 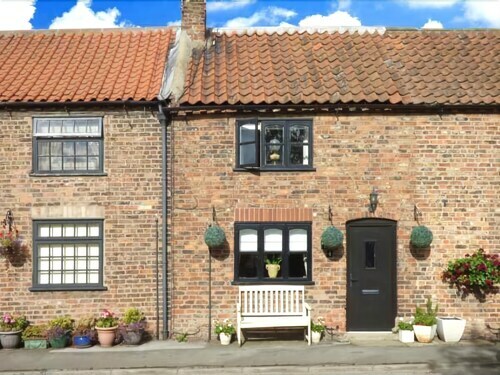 Situated in Brough, this cottage is 3.8 mi (6.1 km) from North Cave Wetlands Nature Reserve and within 12 mi (20 km) of University of Hull and Skidby Windmill. Eastrington Ponds and Beverley and East Riding Golf Club are also within 12 mi (20 km). 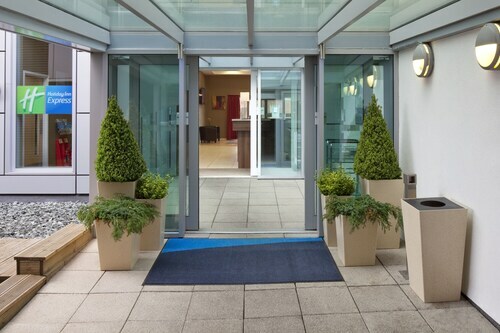 Located in the heart of Hull, this hotel is within 1 mi (2 km) of St. Stephen's Shopping Centre and The Deep. University of Hull is 2.4 mi (3.8 km) away. Hull Paragon Interchange Station and Hull Station are within a 2-minute walk. 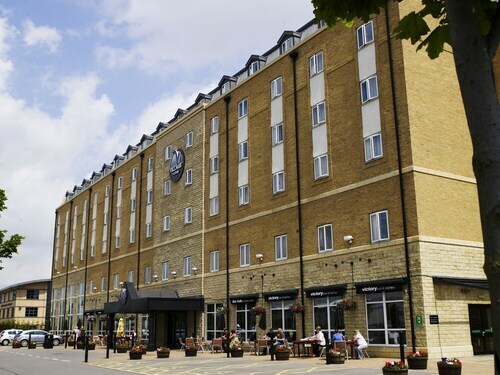 Situated in the business district, this spa hotel is 2.7 mi (4.3 km) from Humber Bridge and 3 mi (4.9 km) from KCOM Stadium. University of Hull and The Deep are also within 6 mi (10 km). 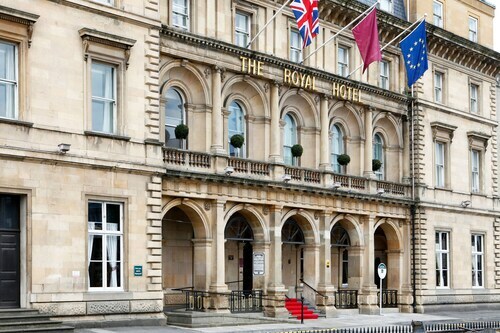 Situated in Hull, this hotel is within 1 mi (2 km) of Hull Truck Theatre and The Deep. University of Hull is 2.1 mi (3.4 km) away. Hull Paragon Interchange Station is 6 minutes by foot and Hull Station is 6 minutes. Situated near the airport, this spa hotel is 5.4 mi (8.7 km) from North Lincolnshire Museum and within 12 mi (20 km) of Elsham Golf Club and Grasby Church. The Deep is 24.8 mi (39.8 km) away. 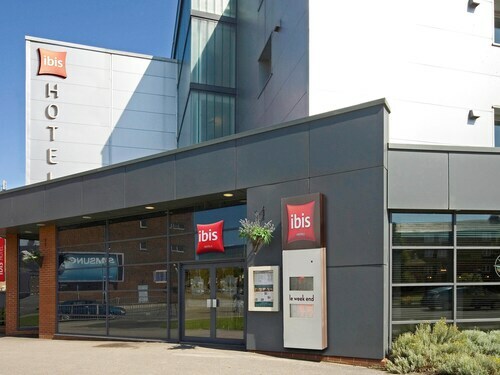 Situated in Hull, this hotel is within 1 mi (2 km) of Princess Quay Shopping Center and The Deep. University of Hull is 2.5 mi (4 km) away. Hull Station and Hull Paragon Interchange Station are within a 5-minute walk. Located in the heart of Beverley, this hotel is within a 5-minute walk of St Mary's Church, East Riding Treasure House, and Beverley North Bar. Beverley Minster and Beverley Westwood are also within 15 minutes. Beverley Station is 10 minutes by foot. Located in the heart of Hull, this hotel is within a 10-minute walk of Hull Truck Theatre and Hull New Theatre. Hull Ice Arena and Hull Marina are also within 15 minutes. Hull Paragon Interchange Station and Hull Station are within a 2-minute walk.